The popular ‘scratch and win’ promotion from Heatcraft is back! The last time Heatcraft ran their Race in 2 Win promotion the company gave away $100,000 to a delighted Heatcraft customer. This time Heatcraft has increased the jackpot to $250,000. The chance to win $250,000 is just one part of the Major Prize which also includes a VIP 3 day experience for 2 attending the Newcastle 500 Supercars Championship in November. With accommodation, airfares and a luxury corporate suite inclusion, the Major Prize is valued at up to $9000. “We’re very excited to be able to offer our customers the chance to win such a significant amount of money that could go towards helping them build their business. The total prize pool is valued over $300,000 which is our largest promotion in recent years”, commented Roger Pecnik, Heatcraft Director of Marketing Australia and New Zealand. Heatcraft customers who purchase a minimum $200 during the promotion period receive a scratch game card where they can win instant prizes such as wireless headsets and movie tickets. The Heatcraft Race in 2 Win Promotion commences on 7 August 2017 and closes on 28 October 2017. For more details, view the terms and conditions. The Danfoss ERC 21X temperature controller available from Heatcraft is a smart multipurpose refrigeration controller designed to fulfill today’s requirements of commercial refrigeration applications. Offer valid from 01.08.17 to 31.08.17 or while stocks last. Prices quoted are nett, exclusive of GST and are available to TRADE CUSTOMERS ONLY, through all Heatcraft stores across Australia and New Zealand. Four (4) push buttons, a big display and an intuitive menu structure ensure superior ease of use. Defrost on demand and smart evaporator fan management ensure energy efficiency. high condensing temperature ensure the safety operation of the unit. use of intermediate relays. A wide range of compatible types of sensors ensure high flexibility in installation. To learn more or to purchase a Danfoss ERC211 or ERC213 electronic controller click through to smart access or contact your nearest Heatcraft branch on 13 23 50. Heatcraft Australia is well stocked on its comprehensive Lennox Commercial HVAC Equipment range to offer a speedy upgrade or replacement project solution. 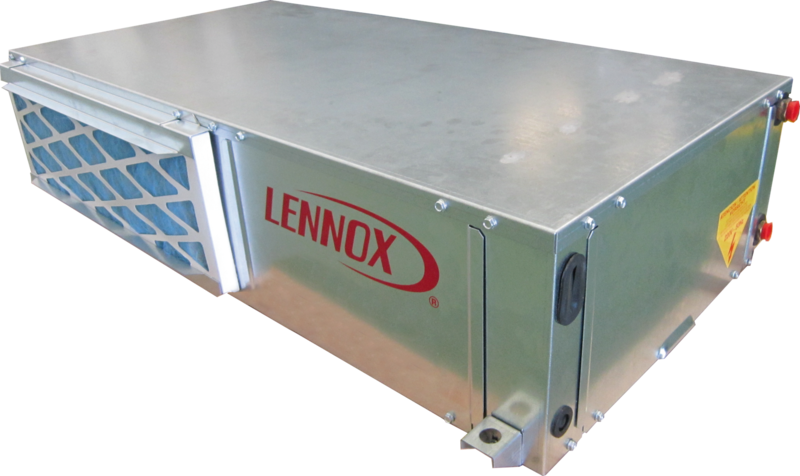 The range consists of Lennox US manufactured Rooftop Packaged Units, Lennox European manufactured Rooftop Packaged Units, as well as NEW Lennox European manufactured Water-Cooled Reverse-Cycle Packaged Units and Lennox European manufactured Air-Cooled Reverse-Cycle Scroll Chillers. Two important features remain constant across the range – reliability and efficiency. “We source only premium, high-efficiency product from our global Lennox portfolio”, commented Heatcraft Segment Manager, Thanh Ngo. The Neosys and Ecolean Air-Cooled Scroll Chillers are well established in the Australian market finding favour across food/industrial process applications and comfort cooling projects alike. The new Lennox Aqualean Water-Cooled Reverse-Cycle Packaged Units (pictured below) are gaining solid traction by virtue of its 7% higher energy efficiency and 35% reduced height profile when compared on average with the market leading comparative model. When it comes to specification of the Lennox Packaged Rooftop range, Heatcraft has simplified the process with the Heatcraft smart@ccess HVAC Product Selector online program. Account customers can easily enter their required capacity and then view the possible units that meet their project needs. Alternatively, customers can enter an alternate brand unit and the smart@ccess program will return comparable Lennox equivalent models. MM Kembla Insulation by K-Flex is a multi-purpose flexible elastomeric thermal insulation with a built in vapour barrier and a closed cell structure. This makes MM Kembla Insulation highly resistant to water vapour transmission and enables the product to maintain a high level of energy conservation efficiency. MM Kembla Insulation is dust, fibre free and is HCFC–CFC free with an Ozone Depletion Potential (ODP) of zero. The impressive technical properties and supporting certifications and accreditations position MM Kembla Insulation as an ideal solution for any commercial, industrial, domestic, and marine and offshore applications. To order MM Kembla Insulation by K-Flex click through to smart access or contact your nearest Heatcraft branch on 13 23 50. Introducing the all NEW Blackmax® Cordless Vacuum Pump, brought to you by CPS. This lightweight, portable cordless pump is ideal for small A/C installs, small commercial service and install, domestic, automotive and on sites where power supply is an issue. Ideal for small A/C installs, small commercial service and install, domestic, automotive and on sites where power supply is an issue. Many other cordless vacuum pumps are supplied skin only (excluding battery and charger). The BLACKMAX® VPC2S-18VDC Cordless Vacuum Pump is supplied with a 6.0Ah battery to ensure you have the right amperage battery for usage of up to 1 hour run time. The BLACKMAX® VPC2S-18VDC Cordless Vacuum Pump comes with a normally closed solenoid valve. The solenoid valve closes once the battery is about to run out. This is designed to ensure there is no cross-contamination of system and vacuum pump oil once the battery runs out. It also has the advantage of holding the vacuum, so you won't lose the vacuum if the battery runs out. To order your BLACKMAX® VPC2S-18VDC Cordless Vacuum Pump click through to smart access or contact your nearest Heatcraft branch on 13 23 50.